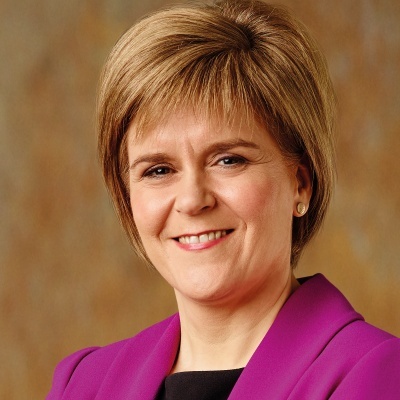 Below is the statement made by First Minister Nicola Sturgeon in the Scottish Parliament on the Scottish Government’s plan for the next year. Check against delivery. Our hospital A&E departments are the best performing in the UK. Crime is at a 42 year low. This is good progress – but it is time to take stock of our achievements, refocus our efforts and refresh our agenda. To build the kind of Scotland we all seek – an inclusive, fair, prosperous, innovative country, ready and willing to embrace the future. That is why improving education – and closing the attainment gap – is our number one priority. The box encapsulates an important principle – that all children, regardless of their parents’ circumstances, deserve the best possible start in life. We have already expanded early years’ education and childcare, but by the time the Baby Box generation reaches nursery, we will have almost doubled the amount of free nursery education children receive. And to support private and third sector providers of childcare, we will introduce rates relief for day nurseries. A new Education Bill will deliver the biggest and most radical change to how our schools are run that we have seen in the lifetime of devolution. Our premise is a simple, but powerful, one: the best people to make decisions about a child‘s education are the people who know them best, their teachers and parents. We know that the whole education system must work together if we are to see the kind of improvement in schools that we all want. We will also reform the way teachers are recruited and educated throughout their careers. We will introduce new routes into teaching, to attract the highest quality graduates into priority areas and subjects, and broaden the pool of talent available. These assessments will not raise standards in and of themselves – but they will help ensure that parents, teachers, policy makers and the wider public have access to high quality and reliable information about the performance of our schools. We will take forward the recommendations of the Widening Access Commission to ensure that young people, regardless of their background, have an equal chance of going to university. We will also ensure that those who take vocational qualifications have the opportunities they need. Across all three strands of reform – in our nurseries, in our schools and in our colleges and universities – we are driving change. Our clear purpose is to ensure a first class education for all young people, no matter the disadvantages they face. We must aspire to be the inventor and the manufacturer of the digital, high tech and low carbon innovations that will shape the future, not just a consumer of them. To support innovation, we will increase government investment in business R&D by 70 per cent – generating an estimated £300 million of additional R&D spending overall over the next three years. To help businesses increase their exports, we will appoint – this autumn – a network of Trade Envoys to champion our businesses’ interests in key markets. We are investing £9 million in a new Lightweight Manufacturing Centre in Renfrewshire. It is helping companies develop a global competitive advantage in the manufacture of lightweight, environmentally friendlier materials like titanium and carbon fibre. The Centre is just the first step. Later this year, we will take the next step by confirming the location and key partners for the new National Manufacturing Institute for Scotland, with work starting on site in 2018 – a clear demonstration of our conviction that advanced manufacturing will be central to our modern economy. We will also support financial technology – Fintech – as a key growth sector. The UK government’s withdrawal of support for key Carbon Capture and Storage initiatives risks that potential. Westminster holds the key levers, so we will continue to press for the right policy and financial framework to be put in place. Today’s Programme sets out the range of actions we will take to support other highly successful growth sectors, from food and drink, to tourism and life sciences – sectors which through their determination and innovation are securing jobs now and for the future. However, I want to make specific mention of creative industries – a sector that is important both for our economy and our cultural wellbeing. We have already increased support for the screen sector, and last month I was delighted to announce that the National Film and Television School is setting up a base in Glasgow. But I can announce today that we will go further and do what those working in the sector have asked of us – in next year’s budget we will provide an additional £10 million to bring screen development, production and growth funding to £20 million a year. The entrepreneurial spirit that forged Scotland’s reputation in the past must drive our success in the future. That doesn’t just mean helping young innovators start their business, it means helping those businesses scale up as well. Organisations like Entrepreneurial Scotland, Elevator and Codebase are building the innovative culture and leadership ambitions of our people and entrepreneurs. Highlands and Islands Enterprise has been successful in taking account of the needs of the north of Scotland. We will establish a new South of Scotland enterprise agency to champion the needs of that area too. To ensure competitive taxes for business, we will quickly take forward the Barclay review of business rates – initial steps are included in this Programme and an implementation plan will be published by the end of this year. We will also introduce a new Planning Bill, to support the efficient delivery of the development our communities need, including vital infrastructure. However, if we are to succeed in raising our ambition, this is a challenge we must do more to address. Benny Higgins, CEO of Tesco Bank has agreed to lead work on developing the Bank’s precise remit, governance, operating model and its approach to managing financial risk – vital steps that will see this new bank up and running and providing the patient capital investment that the Scottish economy needs. Alongside this commitment, we will provide the infrastructure that is needed for Scotland to be a world leading economy. We will also do what Conservative and Labour governments have failed to do over many years, and identify a public body that will be able to make a robust, public sector bid for the next Scotrail franchise. Later this year, we will procure the latest phase of our project to deliver, by 2021, next generation broadband to 100 per cent of residential and business premises – an investment that will be transformational for our economy in general, and for rural Scotland in particular. That is a significant step, however we are determined to do more. To encourage others to see Scotland as the place to research, design and manufacture their innovations – for us to become a laboratory for the rest of the world in the digital and low carbon technologies we want to champion – we must also become early adopters of them. We must be bold in our ambitions – just as we have been in renewable energy. The transition from petrol and diesel cars and vans to electric and other ultra-low emission vehicles is underway and gathering pace. Our aim is for new petrol and diesel cars and vans to be phased out in Scotland by 2032 – the end of the period covered by our new Climate Change Plan and eight years ahead of the target set by the UK government. However, we can and will take action. Over the next few months, we will set out detailed plans to massively expand the number of electric charging points in rural, urban and domestic settings; plans to extend the Green Bus Fund and accelerate the procurement of electric or ultra low emission vehicles in the public and private sectors; plans for pilot demonstrator projects to encourage uptake of electric vehicles amongst private motorists; and plans for an Innovation Fund to encourage business and academia to develop solutions to some of our particular challenges, for example charging vehicles in areas with a high proportion of tenements. We will also make the A9 – already a major infrastructure project – Scotland’s first fully electric-enabled highway. It sends a message to the world – we look to the future with excitement, we welcome innovation and we want to lead it. This ambition will help stimulate economic activity – but it is also part of our plans to improve our environment and the quality of the air that we breathe. For the sake, not just of our environment, but of our health, we will also take further steps to support walking and cycling – active travel – by doubling the amount spent on it within Transport Scotland’s budget from £40m to £80m a year. And we will introduce a new Transport Bill which will include measures to improve public transport – from provisions on smart ticketing to giving local authorities a range of options to improve local bus services. I’ve spoken a lot today about measures to support the economy. To equip it for the challenges ahead, we will ensure that the NHS budget continues to grow – we will deliver at least a real terms increase in the revenue budget next year as part of our commitment to increase funding by a further £2 billion by the end of this Parliament. Increasing funding for the NHS is vital, but it is not enough on its own – we must also reform how it delivers care. In addition to our plans tackle air pollution and boost active travel, I can announce that we will take forward a new strategy to tackle obesity, including measures to restrict the marketing of foods high in fat, sugar or salt. Part of the challenge for health services the world over is to reduce unnecessary admissions to hospital – providing more of the care that people need in their own homes or in a homely setting is key to meeting that challenge. One of this parliament’s flagship policies – free personal care for the over 65s – was designed with precisely that purpose in mind. But there are some people under the age of 65 who also need personal care – for example, those with early onset dementia or conditions like MND. The campaign for what has become known as Frank’s Law – named after Frank Kopel – advocates the extension of free personal care to the under 65s. The Organ and Tissue Donation Bill will establish – with appropriate safeguards – a ‘soft’ opt out system for the authorisation of organ and tissue donation, to allow even more lives to be saved by the precious gift of organ donation. We will continue to ensure that our police and fire services are equipped for the challenges of the future – in particular, we will protect the frontline police budget and support the police as they modernise the way they work. For some people, a period in prison – sometimes a lengthy period – is the only appropriate sentence. Next summer, we will deliver the first of the new devolved benefits – an increased Carers’ Allowance. The increase will be backdated to April 2018. The Best Start Grant is particularly important – it will provide additional help for low income families at key transitions in their children’s lives and help tackle child poverty. Our Child Poverty Bill – which sets statutory targets to tackle child poverty – will also complete its parliamentary passage later this year. We have recently established the new Poverty and Inequality Commission to advise and challenge the government on further actions to reduce poverty. We will now consider options to place the Commission on a statutory footing. I am extremely proud that Scotland is one of the first countries in the world to tackle ‘period poverty’ through the current pilot scheme in Aberdeen – and I welcome the cross party support for that approach. We will consider further action to help women on low incomes across Scotland in light of our learning from the pilot. Some local authorities have already made this commitment in relation to schools, so we will now work through CoSLA and with other partners to consider the options for delivery. Our Parliament is providing real global leadership on this issue and we should all be proud of that. Contemplating such a scheme inevitably raises a number of practical issues and questions, not least around the current powers of our Parliament – and undoubtedly there are arguments for and against. One of the most important contributors to a good quality of life is housing. Scotland has a good record on housing – we are building social housing at a faster rate than any other part of the UK and we have protected social housing by removing the right to buy. However, in setting that national objective, we must recognise that it requires more than just housing. Every individual has unique needs and challenges. In tackling the challenges of building a fairer Scotland, national government can do a great deal – but often the best solutions are found by communities themselves. And we will continue to work with local authorities to ensure that at least 1 per cent of council budgets are controlled by communities themselves. We will also introduce a Crown Estates Bill to establish a framework for the management of assets and ensure that local communities benefit from the devolution of these powers. We will continue to implement the 2016 Land Reform Act and shortly approve the first strategic plan of the new Land Commission. It will outline a programme of research to inform options for future change – for example, possible measures to tackle constraints on the supply and cost of land for housing, and possible tax and fiscal reforms, including the potential for some form of land value based tax. Scotland has a well earned reputation as a leader in human rights, including economic, social and environmental rights. I can also confirm today that, while it is not our proposal and indeed it may be an issue on which parties will give their members a free vote, the Scottish Government will not oppose John Finnie’s proposals to prohibit the physical punishment of children. Approximately 50 countries around the world including France, Germany, Sweden, Norway, Denmark and the Republic of Ireland have already successfully made this change. We will also continue to argue the case for continued UK membership of the single market and customs union. Leaving either will have deeply damaging consequences for our economy and wider society. However, in the coming months we will publish a series of evidence based papers setting out how enhanced powers for this Parliament in some key policy areas will allow us to better protect our interests and fulfill our ambitions for the country. These papers will cover immigration and its importance to our economy; welfare; employment and employability, and trade. We will seek to work with other parties and with civic Scotland to build a consensus on the powers our Parliament needs. Firstly, I can confirm that we will lift the 1 per cent public sector pay cap. And will not simply transfer the burden of austerity to the shoulders of those who can least afford it. However, I am also mindful that as a minority government we must build alliances across our Parliament in support of our Budget. We know that continued Westminster austerity, the consequences of Brexit and the impact of demographic change will put increasing pressure on our public services and on our ability to provide the infrastructure and support that our businesses need to thrive. So the time is right, in my view, to open a discussion about how responsible and progressive use of our tax powers could help build the kind of country we want to be – one with the highest quality public services, well-rewarded public servants, good support for business, a strong social contract and effective policies to tackle poverty and inequality. Three Bills of a more technical nature – the Damages Bill, the Land and Buildings Transaction Tax Bill and the Prescription Bill – will complete the 16 Bills that make up our legislative programme for the year ahead. The Programme that I have set out today, the policies and the legislation, is fresh, bold and ambitious – and because of that, aspects of it undoubtedly will be controversial. That is inevitable – indeed it is necessary. No one has ever built a better country by always taking the easy option. But I invite Parliament – and indeed the public – to also see it in the round. This Programme is about equipping Scotland – not just for the next year – but for the next decade and beyond. And at its heart is this ambition – to make our country the best place in the world to grow up and be educated; the best place to live, work, visit and do business; the best place to be cared for in times of sickness, need or vulnerability; and the best place to grow old.